Moves in Footbag Freestyle are generally thought of as being made up of “components” that break the move up into understandable units. While names and descriptions of moves is a living, constantly-changing culture within the sport of footbag, there are a lot of generally-agreed-upon concepts and names to help both with explaining how moves are done and analyzing their complexity/difficulty (e.g., “adds“). Possible “uptime” components as the footbag is travelling upward. 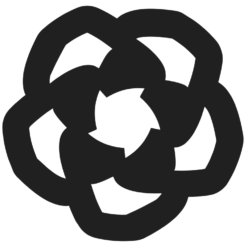 Possible “midtime” (aka “hangtime”) components as the footbag reaches its peak. Possible “downtime” components as the footbag falls. A “contact” (delay or kick, which usually results in a set into another move). For historical reasons, many move names and concepts may encompass multiple components in the list above. 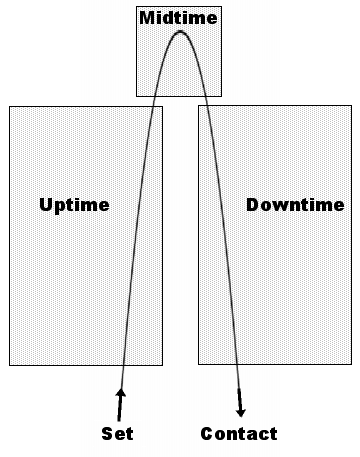 For example, while “set” used to mean just “clipper set” or “toe set” (or other variants), now it has evolved to include any uptime and midtime components that are done before the downtime component in such a way that the name of the move can be easily represented with just two words (one word generally modelling the “set” as a collection of uptime and midtime components, and the other word generally modelling the original form of a move that was done entirely downtime). More information is available by clicking the descriptions above and in the section describing sets.